The 7:30 p.m. Thursday vigil will be held at the spot where recent high school graduate TaQuan Pinkney was killed, at the corner of Pomeroy and Stanton Roads, Southeast, near the Wellington Park neighborhood. WASHINGTON — A recent high school graduate who was working toward a bright future will instead be remembered at a vigil, after being shot and killed walking home from the store. TaQuan Pinkney, 18, had walked to the store for a soda on Sunday when he heard gunfire nearby, according to his mother. “We are never going to be the same,” Yolanda Pinkney told NBC Washington. The 7:30 p.m. Thursday vigil will be held at the spot where Pinkney was killed, at the corner of Pomeroy and Stanton Roads, Southeast, near the Wellington Park neighborhood. 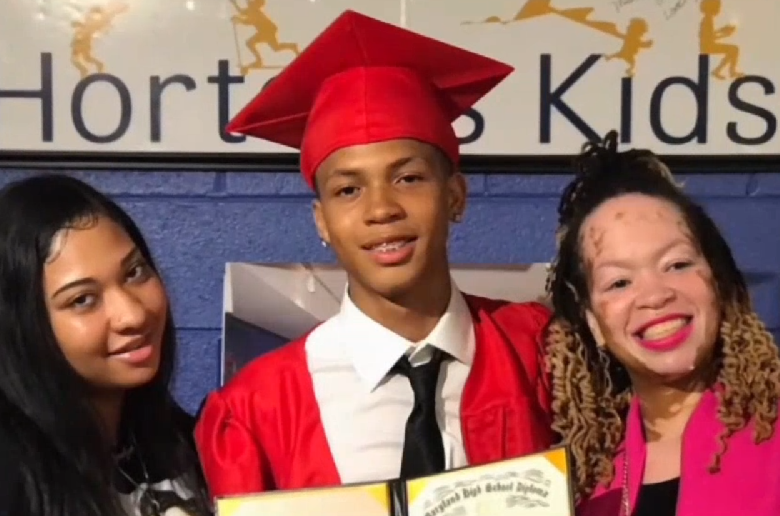 Pinkney had graduated from Suitland High School after being a member of the Horton’s Kids non-profit organization that works to help at-risk children stay in school. Two of Pinkney’s five siblings are enrolled in the program. According to his family, Pinkney was planning to attend University of the District of Columbia, and had been working at a restaurant to pay for his education. D.C. police are investigating, but have not named any suspects. Here are 25-plus recipes — for breakfast, lunch, dinner and dessert — to make your holiday meal memorable.